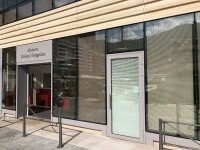 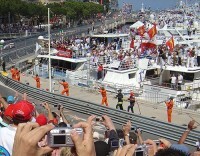 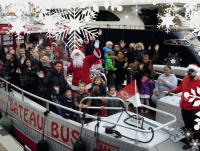 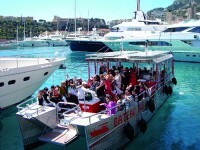 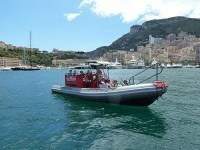 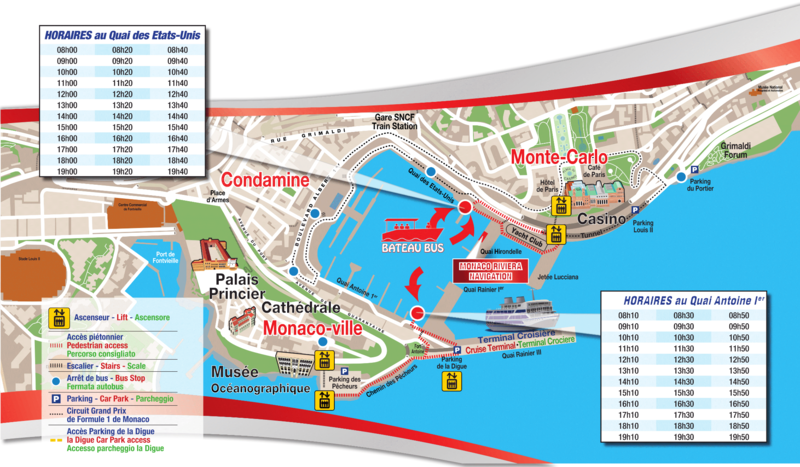 The Bus Boat service is operated by MONACO RIVIERA NAVIGATION (www.monaco-navigation.com) all year round, on behalf of the Monaco Bus Company (CAM – Compagnie des Autobus de Monaco). 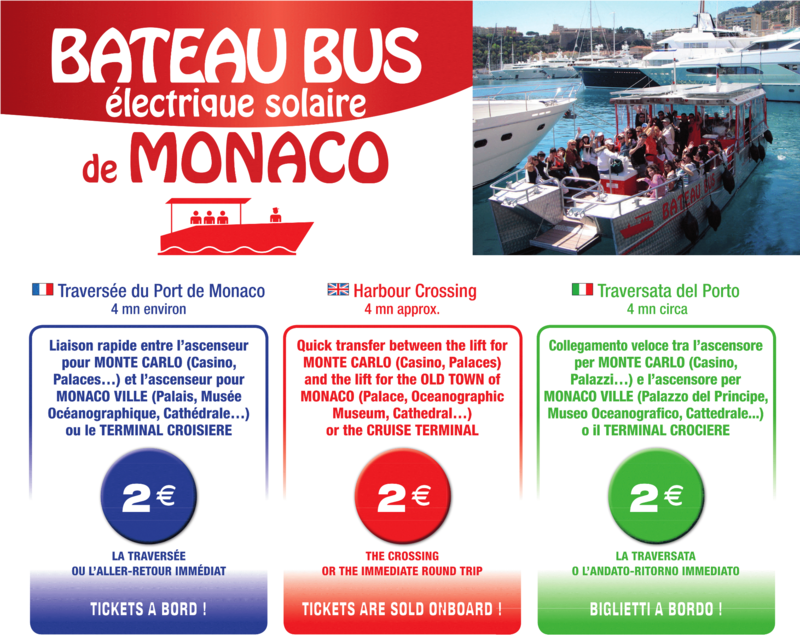 The same services and offers are proposed on the buses and the Bus Boat: The tickets are sold at the same prices. 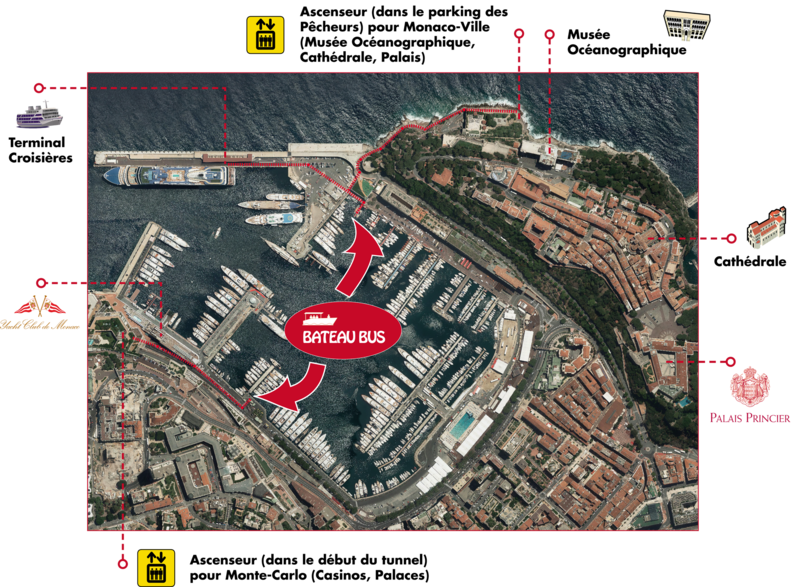 Free connections with the buses, within a 30 minute delay from first boarding.